Breast enhancement surgery is a wonderful treatment option for women who suffer with the physical or emotional effects of problematic breasts. A woman’s breasts should be a cherished part of her anatomy and she should love and value them as a symbol of her femininity. However, many women have breast issues which cause them to feel scorn or actual hate for their lovely breasts, leading to painful mental, emotional and psychosomatic physical conditions. This article explores the justification behind cosmetic breast surgery and its overall mindbody nature of treatment. There are a wide range of concerns which can occur in the female breast. Some women are far more affected by these problematic occurrences than others and can really take the issues to heart. While many perceived breast concerns are not actual health risks of any kind, the aesthetic, sensory and emotional issues stemming from the physical breast conditions can be a real trauma for affected women. For a larger view of the problem, please read some additional information concerning physical breast abnormalities. Often, these breast problems have been affecting a woman for many years, causing her to build up negative and often repressed emotions, such as anger, self loathing, insecurity and dissatisfaction with her body. These feelings can cause emotional hardship and sensitivity, which can lead to problematic social interactions, including lack of confidence, self-consciousness, loss of sexual desires and general anti-social behavior. Long-term anguish due to bodily issues can cause depression, anxiety or any number of psychological pain conditions which originate in the subconscious mind, but are enacted within the physical body. The most common of these conditions are back pain, headaches, fibromyalgia, gastrointestinal discomfort and various other musculoskeletal disorders. Any woman with justified internal motivations for desiring cosmetic surgery as a method of correcting her breast-related issues is advised to consult with a qualified plastic surgeon to learn more about her options. Detailed articles about the full emotional effects of aesthetic surgery can be found in our psychology of cosmetic surgery section. Cosmetic breast surgery is a fantastic treatment when used in situations where a woman is truly suffering emotional distress as a result of her actual or perceptual breast issues. The surgery can correct any visible problem in the breasts, allowing the emotional condition to resolve and the anguish to subside. Once the internal emotional issues have been solved, the woman is left with an energized feeling and a renewed zest for life. They regret that they did not get the procedure done sooner. Cosmetic surgery is a less fulfilling solution for women who demonstrate external motivations as their primary reasons for wanting the procedure. 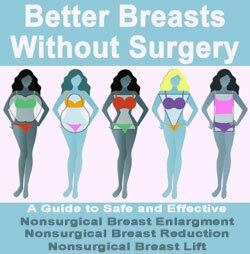 Breast enhancement procedures are terrific potential solutions to a plethora of body image issues. Breast augmentation, mastopexy and breast reduction surgeries can all be effectively utilized as methods of enhancing the natural breast and achieving an improved aesthetic. Cosmetic surgery is not to be taken lightly, since it is still an invasive surgical technique. 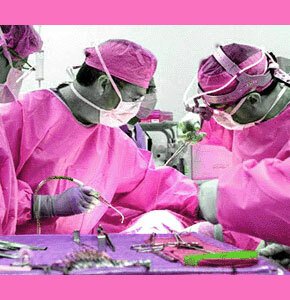 It is vital to learn all the facts and risks about your chosen procedure prior to undergoing surgery. If you need guidance in selecting the perfect surgical fix for your breast issues, talk to a qualified cosmetic breast specialist. They have the knowledge and experience to guide you on the path to a new and improved you.